Rabbits (Oryctolaguscuniculus) are non-ruminant animals with high growth potential, fecundity, small space requirement and are preferred in rural households for poverty alleviation, improved nutrition and income generation. In Kapseret Sub-County, Uasin Gishu County, where this study was undertaken, not much attention has been given to rabbit keeping, despite the mentioned benefits and being of white meat category with potential for niche export markets. The study assessed the effect of supplementing Rhodes grass hay with legumes. The criteria of assessment were feed intake, growth rate and hot carcass percentage. 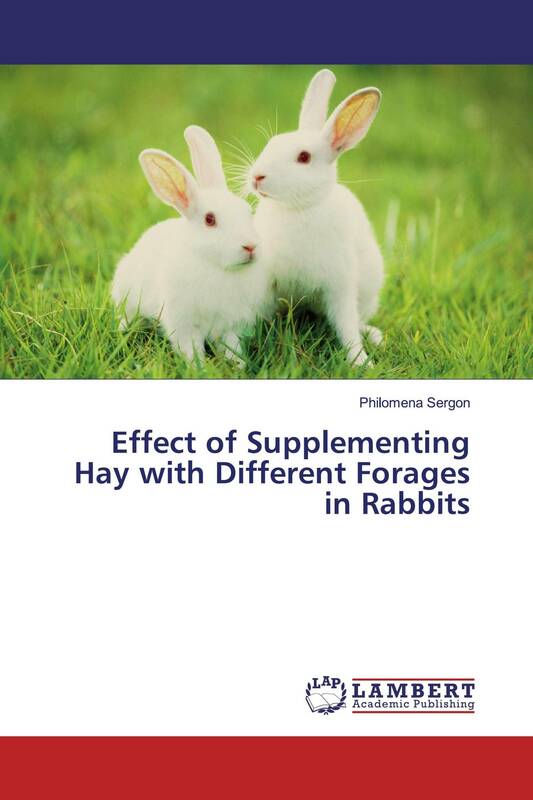 A Complete Randomized Design experiment was used with 9 New Zealand White grower rabbits in 5 treatments of (A): Sweet potato vines - SPV 40% + Hay-H 60%;(B): Mulberry - M40% +H60%;(C): Sesbania–S40% +H 60%) (D): SPV 13.3%+M13.33%+S 13.3% + H 60%) (E):- (H 100%). Rabbit-weighing was done weekly while feed intake were monitored daily and administered after collecting residuals.